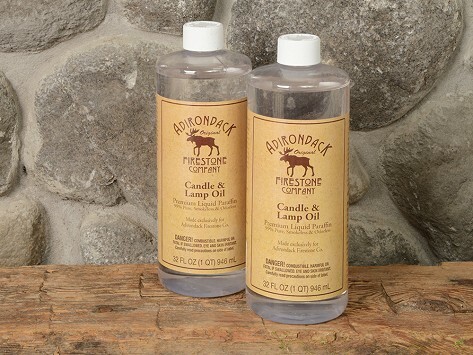 Candle and Lamp Oil that is designed for use with an existing ADK Firestone Kit. Each bottle contains 32 fl. oz. Dimensions (in packaging): 6.5" x 3.25" x 9.5"
We use this in our Adirondack Fire Starter and it works amazingly well. We love it! Can't live with out this Fireplace Starter. Makes lighting a fire a joy, not a project. Nothing says cozy like curling up in front of a crackling fire, but you can’t get comfy until the fire gets going. Sometimes that’s a challenge, especially when you’ve just sent all your old newspapers to be recycled and there’s not a scrap of dry kindling nearby. 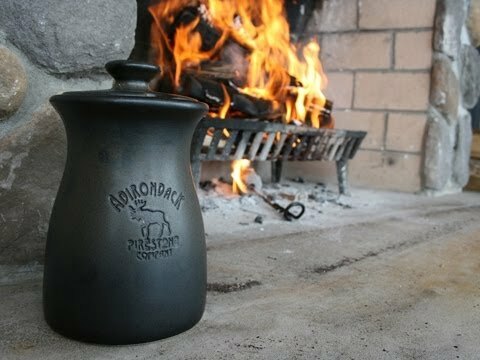 For foolproof fire-starting, we’re reaching for the FireLighter from Adirondack Firestone Company. It’s easy to use, you don’t need newspaper or kindling, and it works every time. Brothers Todd and Chad Keehfus teamed up to create the system, which uses an oil-soaked stone to get the flames going. The FireLighter starter kit includes a ceramic vessel, two bottles of the company’s Candle & Lamp Oil, and a FireStone attached to a steel rod. To get started, soak the FireStone in the oil-filled vessel. Next, roll the FireStone lightly in fireplace ashes, ignite it with a match or lighter, and place the lit stone under the firewood in the fireplace. The FireLighter stone will burn for about 15 to 20 minutes, igniting the rest of the firewood. Todd and Chad founded Adirondack Firestone Company to celebrate the charm and spirit of New York's mountainous Adirondack region. They’ve also made it a priority to work with U.S. suppliers. The ceramic vessel is handcrafted in the pottery corridor between Columbus, Ohio, and Wheeling, West Virginia, the lamp oil comes from Texas, and the steel rods are made in Greene, NY, using machinery that dates back to the early 20th century. The FireLighter kits are assembled in Syracuse, NY, at a facility that employs and trains people with developmental disabilities. From start to finish, FireLighter is hard to resist.